Ragil Ratnam is an Leadership Development Consultant & Executive in Asia Pacific and based out of Bangkok, Thailand. He is a faculty member of The Behavioral Coaching Institute’s (BCI) Graduate School of Master Coaches and has clients within several Asian cities. With 12+ year’s expertise in Human Capital Development, Ragil is an accomplished strategic counsel and facilitator to executives, managers and teams across Asia, with multi-nationals and regional organizations across Banking & Financial Services, Medical Services, Hospitality, IT consulting and Travel. In his 7 years in academia in South Africa, he was responsible for preparing students from first year to Masters level, being involved in both lecturing and course design including the development of a Psychology Masters programme for registration with the National Professional Board (HSPCA). Ragil trained as Clinical Psychologist and is registered in South Africa. He has an in-depth psychological and business-focused perspective on leadership development and works with a variety of tools and models to find the most relevant solutions for each client. He is developing a new way of working with personal growth and development, which harnesses archetypal thinking and the most recent research on happiness and well-being. 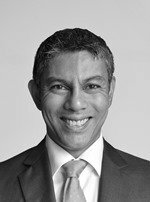 Since entering the corporate sector, Ragil held several senior roles at Old Mutual Plc in Talent Management, Recruitment and Assessment in the United States, United Kingdom and South Africa. Employed by the Old Mutual Group for a decade, he has run psychometric assessment and recruitment teams in South Africa, headed Learning and Development for the group’s US Asset Management business which spanned 20 affiliate fund managers across the US, and led Talent Management in South Africa and globally from the UK. Ragil’s coaching focuses on the challenges leaders face in the transition phases in their careers when moving from one level to another. It is at these critical turning points that the risk to the individual of derailment and to the organization of non-delivery is highest, and it is at this time that the right support is critical. 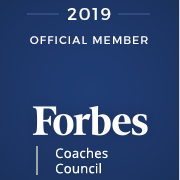 His coaching provides a structured process for senior managers, executives and high-potential individuals aimed at achieving specific professional goals. Some of Ragil’s recent facilitation and coaching client engagements include: Prudential Corporation Asia, Agoda, Bangkok Dusit Medical Services, Hilton Hotels Asia, Capgemini and Credit Suisse. Ragil is Sri Lankan by birth, attended school in Zambia and South Africa and became a South African citizen. He has worked in a variety of roles in several countries across continents and has travelled widely to satisfy his interest in culture arts. He started his career as a lecturer working with disadvantaged communities. In his spare time he worked in the modelling industry and took commissions for oil painting. He then moved into the corporate world and at the same time moved to Cape Town to fulfil a long-standing dream to live there. Since 2011 he has been based in Bangkok, Thailand, enjoying the excellent food and the Bhuddist approach to life.